This article provides insightful knowledge and good parenting tips for growing self awareness and love. However, going down that road also requires courage and an open mind. As you probably already know, looking inside yourself can be frightening. But if you want that red cherry, if you want a more loving, peaceful and fulfilling parenting life, there is really no other way. But the good thing is you always have a choice. You can choose to do it ... or not. Nothing is more 'right' than something else. It all depends on what you want. As parents each of us has specific areas that for some reason keep coming back to challenge us. These areas or challenges are different for each parent all though we all probably have a little bit of everything in different dosages. A good first step to a more conscious and joyful parenting life is identifying the troublesome areas that seem to come back again and again and again to create automated reactive behavior and disrupt our peace of mind. 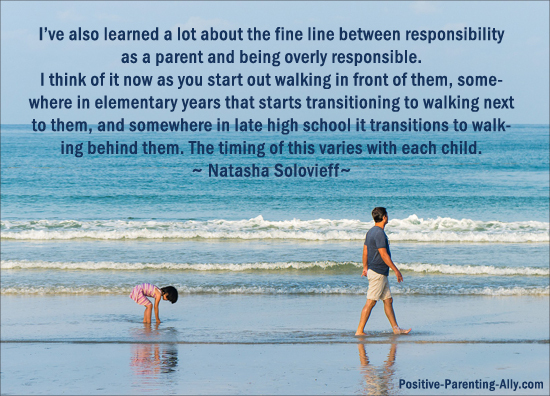 For some parents it might be challenges such as intimacy and showing affection, for others it may be about letting go of their child and for some, like parenting guide Natasha Solovieff, it can be about about worrying and parenting guilt. What we will learn from Natasha in this parenting interview is, among other things, the importance of taking ownership of such challenges. About realizing; Okay, this mindset of mine is not working for me or my child. I've got to look inside and see how I can get beyond this. This is about me and not my child. So one of the meta messages of this interview is that you have so much more power than you realize. 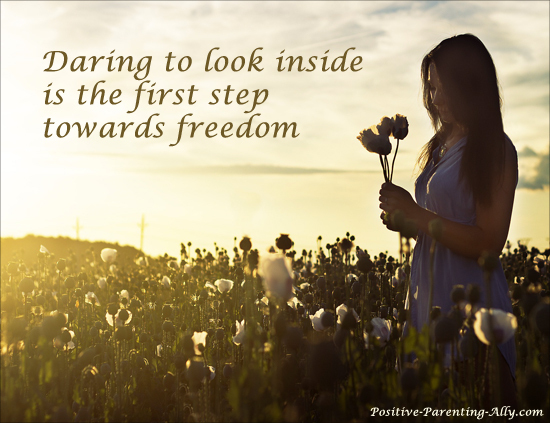 By choosing to look inside to explore and discover your own behavioral habits and frozen mental structures, you have started a journey of your own freedom ... and indirectly, your child's freedom, too. And if you continue on this journey it will eventually take you home. Home to yourself. The best place to be. So don't be afraid to look inside. You'll only find yourself. And in time, you'll learn to love all aspects of yourself, even the ones you dislike now. In this interview you'll see how Natasha does it and thus find good parenting tips on how to do it yourself. 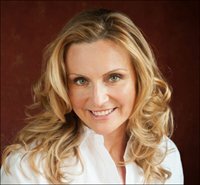 You'll see how she naturally and fearlessly goes inside to discover how her previous behavior wasn't working and how her mindset prevented her from time to time from connecting fully with and enjoying her daughter. So open your mind and enjoy Natasha's wisdom and good parenting tips. I'm sure it'll leave a thing or two in your mind afterwards, if you want it to. Why is it that parenting can be such an isolating experience? What is the corner stone of conscious parenting and one of most important skills to develop as a parent? What are the roots of most parenting challenges and how can we get to them? What characterizes worry and what is the price of worrying? 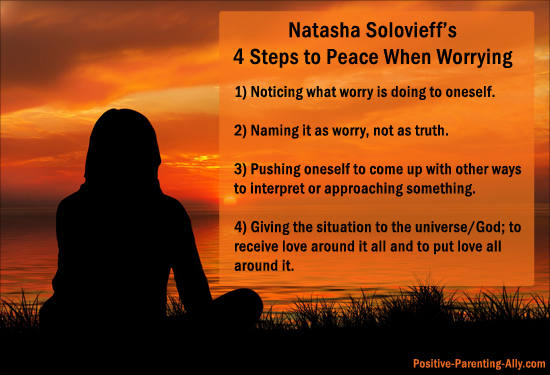 What are the steps to inner peace when worrying and how do you recognize peace when you're there? What can be the gifts of parenting challenges, how do you grow by facing them? Why is parenting guilt such a widespread feeling and how may we deal with it? Why is inner stillness so important and how may we work towards it? 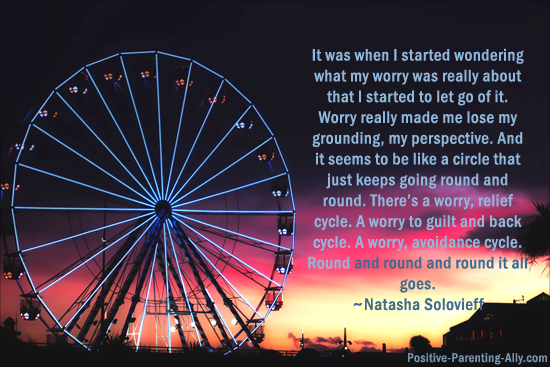 What you will notice when Natasha answers these questions is that she always finds her response by checking in deeply with herself and using herself and her experience in her answers. This is what makes her answers such good parenting tips. It's always very powerful when people use themselves when advising. Because it gives us a better chance to identify with what is being said. When people use themselves honestly and in an involving way, we simply feel them better. And feeling and intuitively sensing what is being said has a much greater impact on our understanding than pure mental messages. So I wish you great joy in discovering how Natasha's words and good parenting tips may impact your life. 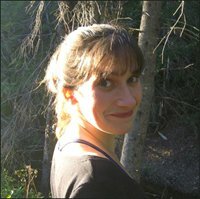 But before venturing on the parenting interview itself, here is a little introduction to Natasha Solovieff. 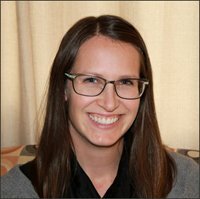 Natasha Solovieff works as Public Health Nurse, meeting with Moms and their children in their home about pregnancy then about parenting. She is also the Mom of a bright, highly sensitive 25 year old who works and goes to college. 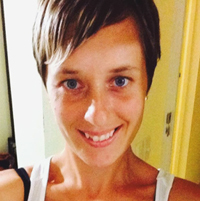 Alongside her day job Natasha also owns and runs a wonderful and inspiring website - OMG Parenting - where as a parenting guide she provides deep insights, good parenting tips and parenting classes to help us grow as parents and lead a more self aware and joyful parenting life. I first noticed Natasha on Twitter and as we seemed to share a very similar view on the essence of parenting, we naturally started liking and responding to each others tweets. And within long, I thought, hmmm ... I really like where she is coming from: high self awareness, introspection and not to forget, lots and lots of love. I'd like to connect with her. So I went ahead and asked her if she was up for an interview and sharing some of her insightful, good parenting tips, and lucky me (and you), she was indeed! So get comfy and let's get started with the interview. I know you've spent many years working as a health nurse in both the private and public sector, and I was wondering what insight or inspiration paved the way for you to want to go your own way and make your own website about parenting? What was it that you thought was needed in the world and how do you see yourself helping to contribute to that? I heard parents, outside of the parents I work with, saying a lot, “You can’t talk with people about these things.” Or “I had no idea” about something I’d tell them just in conversation. I realized how isolating the parenting experience is for so many, how much we need to talk about the problems! Well, I have been given the gift of listening and helping people sort themselves out. Put that together with the fact I’ve always been attracted to how one can leverage technology to inform a lot of people, I decided to give it a go. Plus I like the idea of income yet being unemployed as time goes on in my life! If you were to characterize your parenting approach, how would you describe it? Hmmm. My parenting approach probably centers around “know thyself”. In school it was always, what makes you curious – answer to that curiosity. In guiding around relationships it was what’s going on, what’s your part, what’s theirs? In pursuing non-school activities it was, what do you want to experience, what’s fun? In understanding personal challenges as life went on it was, what’s going on, who can help? In general it was paying attention to strengths, gifts, and finding avenues for those to develop. In all of this I was an observer, a participant, and a guide. Oh, a great question! I’d say it’s a bit of all of this! Yet, in the end, it’s about how we perceive the role of a parent, our expectations of ourselves, our fears, our parenting vows (which nobody really talks about but I run a whole online class on). These in turn effect our protectiveness of our children, our expectations, how we prioritize, what we go to bat for and what we agonize over. If we aren’t really intentional about our awareness of what’s driving us, it is easy to agonize about our children. Could you give a brief explanation of what a parenting vow is and why they may cause trouble? 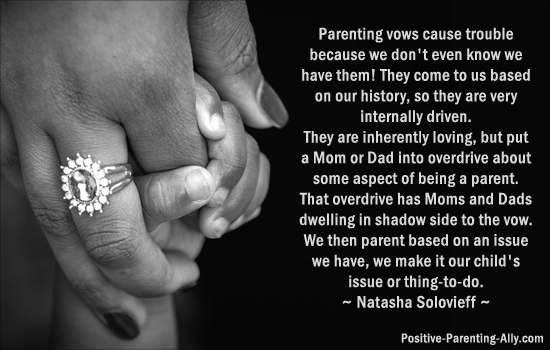 Parenting vows cause trouble because we don't even know we have them! They come to us based on our history, so they are very internally driven. They are inherently loving, but put a Mom or Dad into overdrive about some aspect of being a parent. That overdrive has Moms and Dads dwelling in shadow side to the vow. We then parent based on an issue we have, we make it our child's issue or thing-to-do. I guess you could call it reactive parenting vs. intentional parenting. My parenting class on this explores it all and what to do to have only the good stuff flowing from one's parenting vows! You have told me that you used to be a "worrier Mom". Can you explain what characterizes the mindset of a worrier Mom? How does the worrier Mom mindset perceive the relationship between the world, her child and herself? 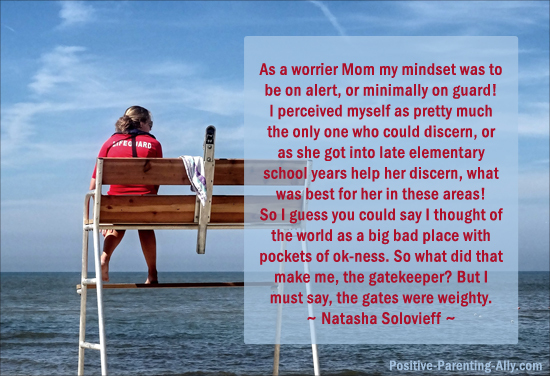 As a worrier Mom my mindset was to be on alert, or minimally on guard! For me that carried out in psychological, spiritual and health space rather than physical (I didn’t really worry about her and a friend going to a local park or her trying out a new physical endeavor). I perceived myself as pretty much the only one who could discern, or as she got into late elementary school years help her discern, what was best for her in these areas! She had a lot of natural ‘knowing’ and I was out to keep the world from dampening those sensitivities. So I guess you could say I thought of the world as a big bad place with pockets of ok-ness. So what did that make me, the gatekeeper? But I must say, the gates were weighty. Why was it additionally challenging when other moms said to you "It [worrying] comes with the job, doesn't it?" Why was that not a comfort (as it was probably intended to be)? It never helped because it didn’t meet my inner need to pay attention; to listen, to calm myself, to explore options with a trust in my ability to resolve things. A little bit of worry is natural. But in retrospect, perpetual and penetrating worry is really not about anything but killing ones energy, losing one’s sense of femininity (yes! )/self, and disconnection from enjoyment and problem solving. When it gets normalized, it doesn’t ask of you to look deeper and learn what in your self is trying to speak up. It was when I started wondering what my worry was really about that I started to let go of it. Worry really made me lose my grounding, my perspective. And it seems to be like a circle that just keeps going round and round. There’s a worry, relief cycle. A worry to guilt and back cycle. A worry, avoidance cycle. Round and round and round it all goes. It’s rather invasive! In the end, while being a worrier Mom, it kept me from knowing I was doing well as a parent. I understand that there are 4 things that helped you with your worrier Mom challenge. Could you give us some insight into what those good parenting tips were? Are there some steps we can take, perhaps, when a worry starts to appear that will help guide us towards inner peace? It’s interesting to reflect on this. Looking back I’d say I put my problem solving abilities to work! Noticing what it was doing to me. Naming it as worry, not as truth. It might contain some truth, but it was really clouding options for directions to go, or trusting the directions I did go. Pushing myself to come up with other ways to interpret something as well as other options for approaching whatever was causing the worry (something I utilized for stress management). Giving the situation to the universe/God; to receive love around it all and to put love all around it. I'm very fascinated by your step number 4 because that is where a worry (or other issues you many have as a parent) seem to move from a cognitive or mental level to something else. And this "something else", I think is difficult to understand or reach for many people. But I too think that this level is very important and perhaps often overlooked. Could you perhaps explain what you do in step 4 in more concrete terms? How do you do what you do? Is it a visualization or something else? What does level 4 feel like in terms of 'beingness' so we can better recognize it when we're there? Hmmm. So what I do is perhaps different than what someone else might do. But for me it's having that something that you do to get into a 'neutral space' about the issue. You are able to say to yourself, "it's not a big thing, it's not a little thing, it's not a bad thing, it's not a good thing....it's just a thing". For me it works to make myself think of other ways of interpreting the situation, or think the opposite of what I usually think/feel to bring my mind and heart into different options for interpreting and acting on. Once I can get to a point where I'm not emotionally reactive (and believe me, that can take a bit! ), then all kinds of things happen. When we're there you are quietly energized, your muscles are relaxed, you are sleeping better, you are open to other's ideas, you are calm in the midst of the storm, your mind is absent of going round and round and round about the situation. Where do you see yourself on the worrier Mom continuum today? Are you still working with you worrier Mom mindset? I maybe spend 15% of my time in worry instead of 85%! When it pops up, I definitely work with it. I notice it quickly. My signs always are that in my mind I’m expressing irritation and feeling critical of my daughter. Whenever that is going on, I’m in worry mode. I go beyond it by using the same 4 steps I listed above. If we choose to look at the world and ourselves and everything we experience through a lens of gratitude, what gift(s) did the experiences of being worrier Mom have for you? Probably the biggest one is that it firmed up my faith in my spirituality. When you’re a worrier Mom, you get a lot of practice with my step 4! And there is always such wonderful magic in life once I get there. So I’ve had a of magical moments! I’ve also learned a lot about the fine line between responsibility as a parent and being overly responsible. Our children really are their own unique selves. They learn a lot, strengthen a lot and step into their independence with fewer bumps by becoming responsible for their strengths and challenges from a very early age; by experiencing their lives. I think of it now as you start out walking in front of them, somewhere in elementary years that starts transitioning to walking next to them, and somewhere in late high school it transitions to walking behind them. The timing of this varies with each child. 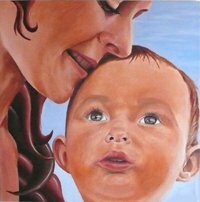 On your website you also talk about guilt: "MaMa guilt" or "DaDa guilt" - what is that? When do we typically feel MaMa guilt or DaDa guilt as parents, why do you think that is and do you have some good parenting tips in terms of what to do with guilt? We experience guilt when we aren’t living up to our own expectations and we think we’ve let down someone else. It’s that “I could have done more” feeling. Parenting is a setup for guilt; we’re supposed to be these all-knowing, all-loving beings as a parent. What is the most important insight you've had about guilt as a parent? How did it come about and how did it affect your parenting life? It’s a tough one because sometimes we HAVE screwed up. But usually there is opportunity to set it right. Our children are incredibly ready to hear “I’m sorry, let’s do this differently”. My guilt was rooted in how I was responding, repeatedly, to some of my daughter's behaviors with eye rolling, negative comments, trying to make things happen in a certain way; all different than how I wanted to parent. I saw other parents doing the same thing. When I had an ah-ha moment about why I was responding that way, I saw the pattern as rooted in what I came to call parenting vows. I could then see how a parenting vow belonged to me not to her. Then I knew I was in control of what happened (because I know the only thing I have control of is myself). I saw how not identifying and owning the vow created a ripple effect of negativity in our relationship (even though it was inherently loving!). I tried my awareness out on other parents, observing things differently and asking different questions, and it turns out I could generalize my experience to others. Oh geez, so many things! I’m going to go with I’ve learned how high my joy goes. I know this sounds strange after talking about worry and guilt but, wow, the joy of this love is a natural high! Is it possible to transform this insight into some parenting advice? Parenting is a wide range of feelings. L.O.V.E. ; listen, OM, visualize and voice, explore. It’s the basis of my pending book, The Dance of Parenting. I have heard about OM before but I can never remember what it is. Could you explain how you view OM? It's getting still within yourself; returning your body, mind, heart to homeostasis (balance). It's commonly associated with meditation but one can get there in many ways. I think, in the fast paced info world, parents need to be experts on how to get there for themselves. 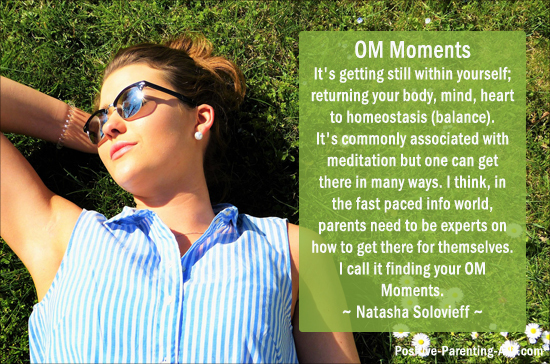 I call it finding your OM Moments. It's important for our health and well being; for simply having more enjoyment in the process of family life. I have an example of this in my blog. I dedicate a whole chapter in my upcoming book to this! I saw it the other day, in a furniture store of all places, and I regret not remembering the author of it. It went something like, as a parent we think we’re teaching our children how to live, yet our children teach us what living is! Oh, I think I know that one. I love it too. This is the end of my parenting interview with Natasha. 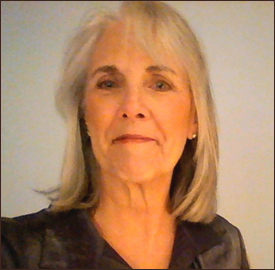 I really hope you enjoyed her wisdom and many also reaped a few good parenting tips along to help yourself in the areas of your own life where you would like to shine your light of awareness.